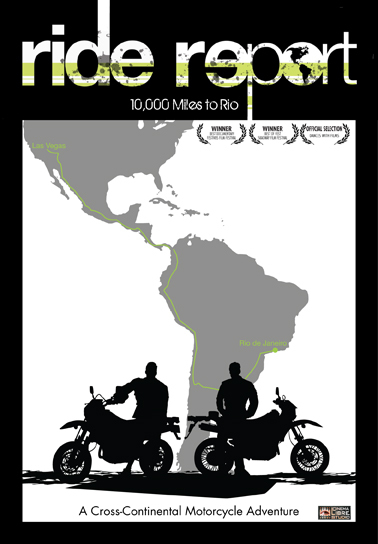 When filmmakers Tiernan Turner and Matt Kendall decide to go to Carnaval, they embark on the cross-continental road trip on nothing but Suzuki motorcycles and the help of the adventure riders and couch-surfers social network. When they encounter dangerous terrain and mechanical failures, they must find their strength in order to make it to the festival on time. Since 2003, Cinema Libre Studio has remained at the forefront of the independent social issue, narrative & nonfiction film movement, providing the expertise filmmakers need to find their global audience across all platforms. Sign up to receive Cinema Libre Studio’s Newsletter to get the latest information about current and upcoming movies, news, and promotions.